Blowfish Studios and NX Games have announced fast-paced fantasy action platformer JackQuest: Tale of the Sword for Nintendo Switch. The game is scheduled to release in late 2018 on the Switch eShop. Check out the first details and official trailer below. 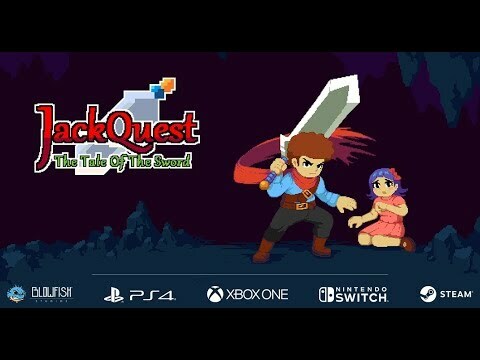 JackQuest: Tale of the Sword, a fast-paced fantasy action platformer from publisher Blowfish Studios and developer NX Games, will find its way to Nintendo Switch, PlayStation 4, Xbox One, and Windows PC in late 2018.